Over the course of a printer’s lifetime, routine maintenance is to be expected. However, when you start noticing that your office printer needs more attention than the other 20 things on your priority list, it may be time to consider scrapping it and starting fresh. Printer downtime is very disruptive and costly, especially if you do not have a service contract in place. When your printer starts causing heartache on a regular basis it might be time to start thinking about replacing it. Ever wondered why there are so many different ports on the back of your computer? Over the years, printer manufacturers have determined which connectivity type best suits their product. Unfortunately for the users, a consensus was not reached, and we are left with many different types. With technology evolving from day to day, it doesn’t take long for printers to become obsolete, including their connectivity style. If your company’s inventory is filled with printers using outdated connectivity ports, it may be time to start looking into new printers that can connect to any computer in your office, quickly and easily. Print heads are one of the most critical components of your printer and also one of the most expensive to replace. You can expect to pay up to a few hundred dollars just to replace this one delicate part. In some cases, it’s a better investment to upgrade your printer as opposed to shelling out hundreds of dollars for a new print head. This decision is obviously based on the history you have with your printer – was it working fine before the print head went downhill? Or were you finding yourself having frequent problems with it? Most companies have an assortment of printer brands and models. While this isn’t necessarily a bad thing, it definitely doesn’t make troubleshooting any easier. Learning one printer’s temperament is difficult enough. Learning 3 or 4 can be a nightmare. If your company has a variety of printers, you might think about streamlining your fleet. Eliminating the mix of printers not only cuts down on training and troubleshooting time but also simplifies the ordering process for replacement parts and printer consumables. Many companies purchase printers with a specific mission in mind. 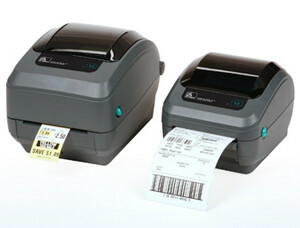 Printer A is used for shipping labels, Printer B is used for product labels, etc. But what happens when your printer’s primary mission is altered? Printer A could very easily be overloaded with not only shipping labels, but product labels too if there’s a sudden volume increase. This in turn can slow printer response time, burn through consumables faster, and increase the intrinsic wear and tear it experiences on a daily basis. It’s important for companies to analyze their printers’ usages to avoid burning out their workhorse printers. If a printer’s mission has been altered, think about supplementing its old function with a new printer to avoid printer overload and burnout.